Black Sabbath have an upcoming concert film of their last ever show hitting cinemas for one night only this September. 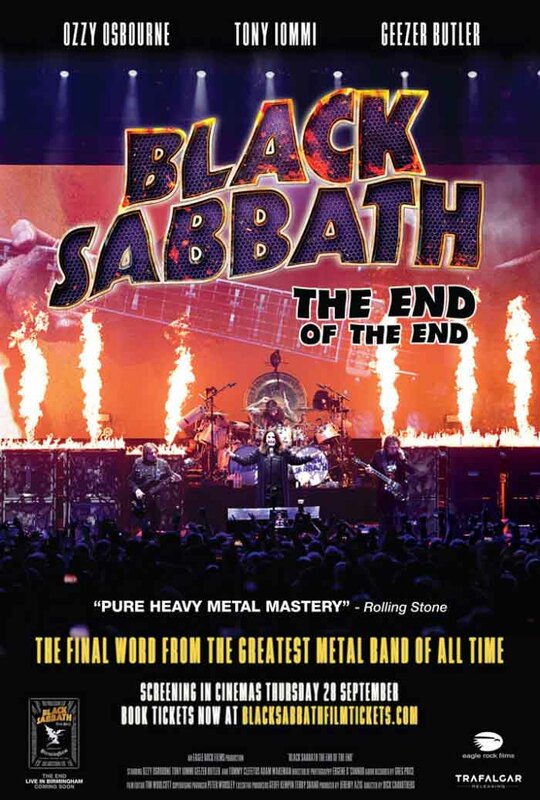 The End of the End is coming to about 1500 theaters on September 28th and includes live in the studio footage of Sabbath playing material that they did not cover on their final The End tour. Sadly Bill Ward was not included. Tickets are available here. Fairfield,CT seems like an odd choice. I’ve lived here 36 years & don’t think ive ever been there. Also it’s kinda stupid without Bill.